Don't miss out on this gem of a promotion! 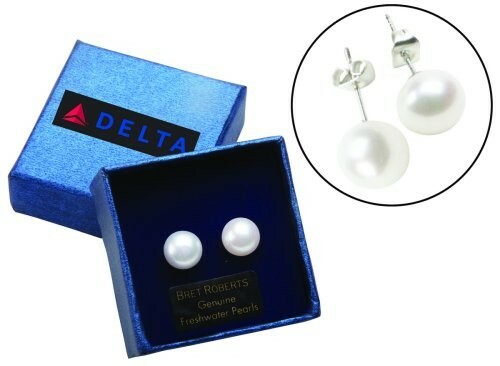 These earrings are genuine freshwater pearl and come well-matched for size, shape, and color. Perfect for presenting as a gift or award to a well-deserving recipient. Classic and versatile, pearls are always in style! Customize the box with your company name and logo so everyone will know what a jewel your business is. Box measures 1 13/16" x 1 13/16" x 1 1/4" in dimension.